there are rock piles, stone piles, and mud everywhere, but it will be worth it. almond roca with dark chocolate - yum-o! 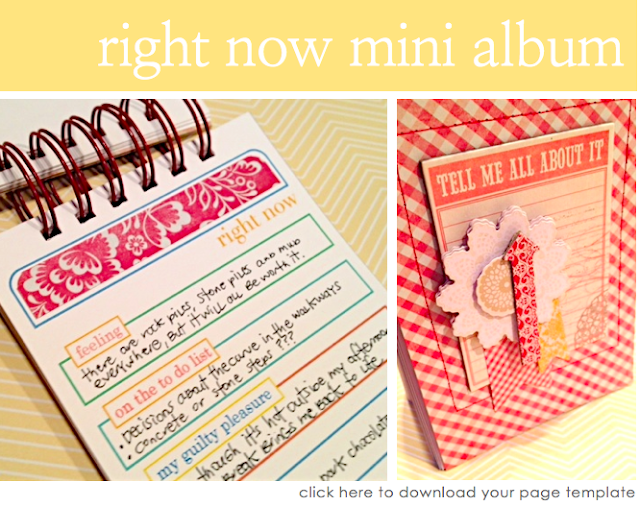 Create your own right now mini book, with the download found here. Here's the post where I share how I created my mini book. oh I love reading your currents my Friend and that mini looks delicious...of course, you made it! !